100% Risk-Free Membership. You will pay just $1.90 a week, billed today in one payment of $99 for a 12-month membership, with a full 60-Day Money-Back Guarantee. Your membership will automatically renew every 12 months for $99, billed to your credit card, until you cancel. No obligation—cancel anytime to avoid future charges by calling our friendly Customer Service at 1 (800) 470-7870. 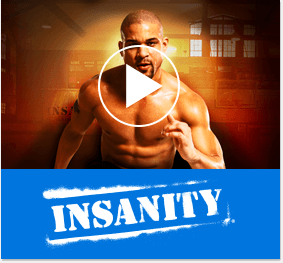 Get insider access to all of Beachbody's latest programs including Cize, 21 Day Fix, PiYo, 22 Minute Hard Corps, Country Heat, and Core De Force, plus access to all future releases. 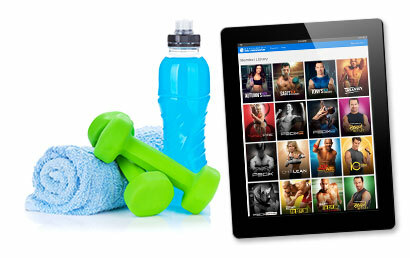 Stream your workouts from your laptop, tablet or mobile device. Now you can bring your Beachbody On Demand programs with you wherever you go. You also get membership in the Team Beachbody® Club, which includes personalized meal plans, discounts on future purchases, VIP exclusive access to your favorite trainers, and all the support you need to get life-changing results! CORE DE FORCE co-creator Joel Freeman is one of the newest Super Trainers in the Beachbody® family, but he’s no stranger to fitness. He’s held Elite Personal Trainer certifications from the America Fitness Association of America (AFAA), National Academy of Sports Medicine (NASM), and the American Council on Exercise (ACE). From running day-to-day operations in his own gym in Olympia, Washington to managing Group X programming at Gold’s Gym® to becoming a National BODYCOMBAT® Trainer—he’s done it all! CORE DE FORCE co-creator Jericho McMatthews is one of the newest Beachbody® Super Trainers and truly is a force to be reckoned with. She’s held Personal Training certifications from the National Academy of Sports Medicine (NASM), the American Fitness Association of America (AFAA), and the American Council on Exercise (ACE), and received degrees in Psychology and Physical Education and Kinesiology from University of California, Santa Barbara. Boasting over a decade of experience as an International Master Trainer, she has traveled the world educating thousands of new instructors and has presented at esteemed fitness industry conferences such as IHRSA, IDEA, ECA, and CanFitPro. †Results vary depending on starting point, goals, and effort. Lisa J. is an independent Beachbody Coach. Rebecca P. is an independent Beachbody Coach. Rob S. is an independent Beachbody Coach. Tarah C. is an independent Beachbody Coach. © 2016 Beachbody, LLC. All rights reserved. Beachbody, LLC is the owner of the Beachbody and Team Beachbody trademarks, and all related designs, trademarks, copyrights, and other intellectual property. All other trademarks are owned by their respective owners.